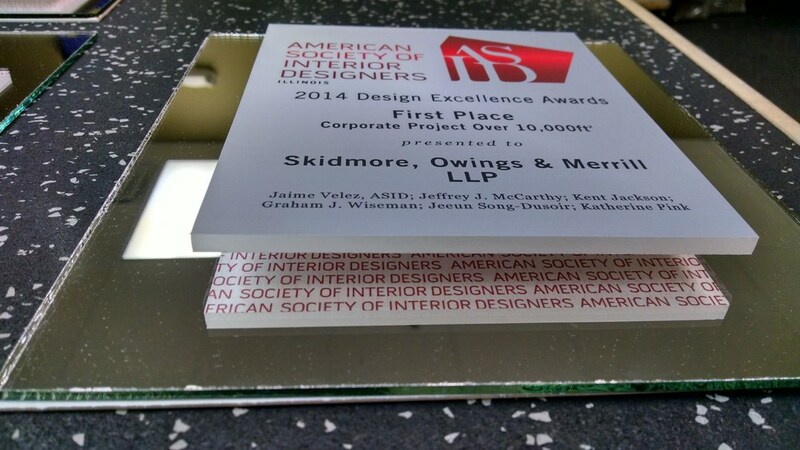 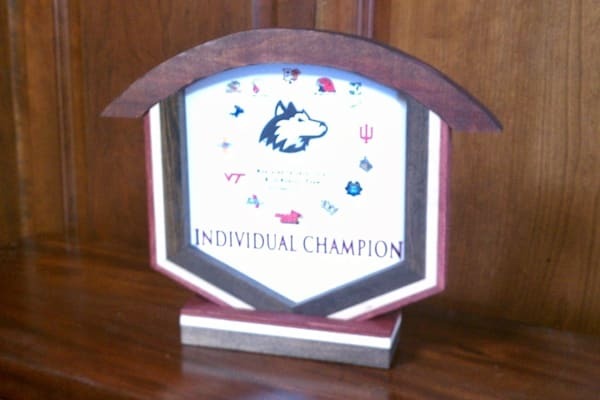 Looking for a beautiful custom made award or plaque? 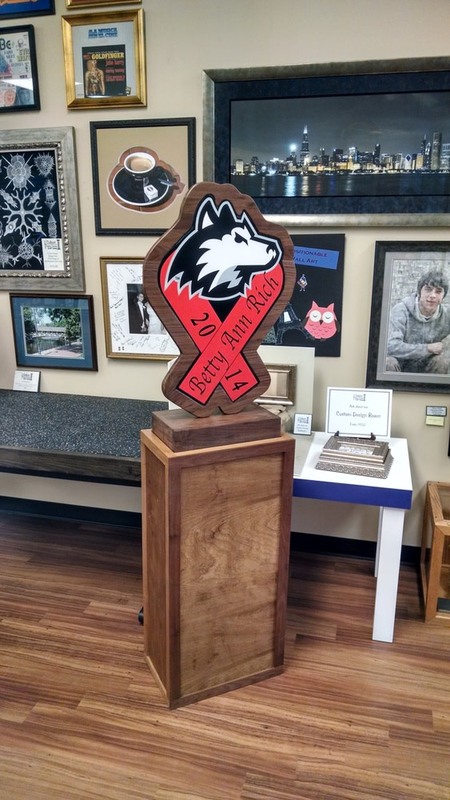 Visit Colbert Custom Framing & Art Printing in Naperville for some new ideas. 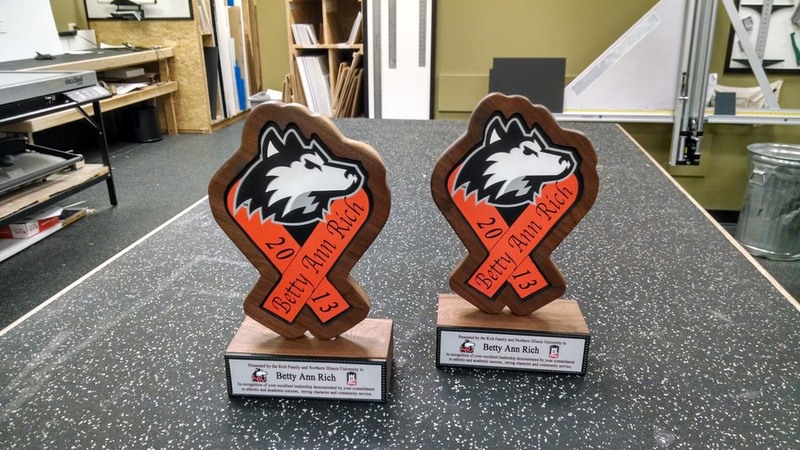 We have supplied a variety of businesses and organizations with custom printed awards with creative, unique designs. The framing side of our business can put together beautifully framed certificates or custom-made awards for wall mounting in your home or office. Our guarantee is our slogan - "You're Going to Love It!" See examples of some custom awards below. 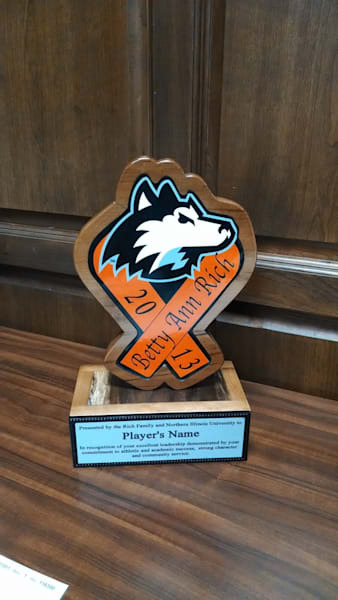 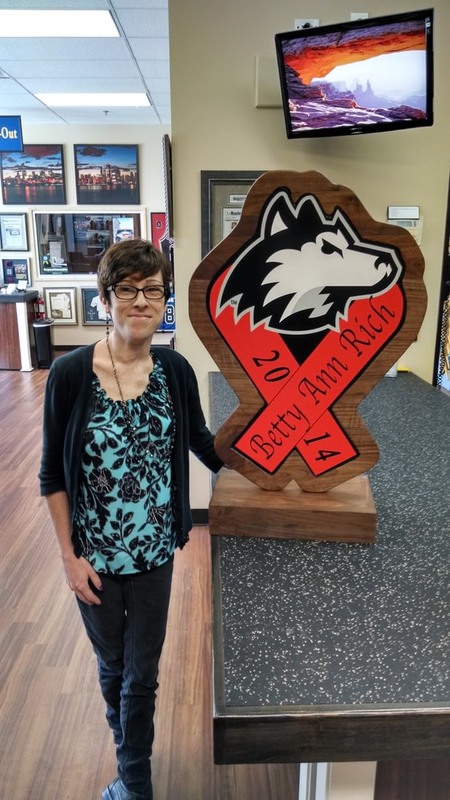 Using a combination of our wood working ability and our giclee printing technology, we developed this beautiful trophy. 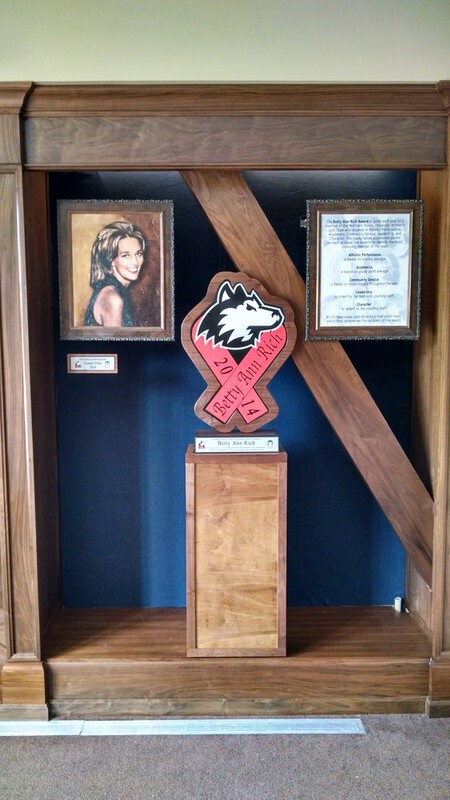 We can ,make custom wood awards in any size. 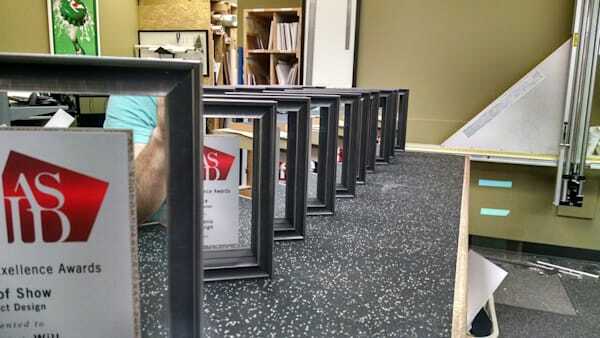 Rich Harvest Farms Logo made into a frame. Using our wall adhesive and some creative floating on mirror we made these cool awards. 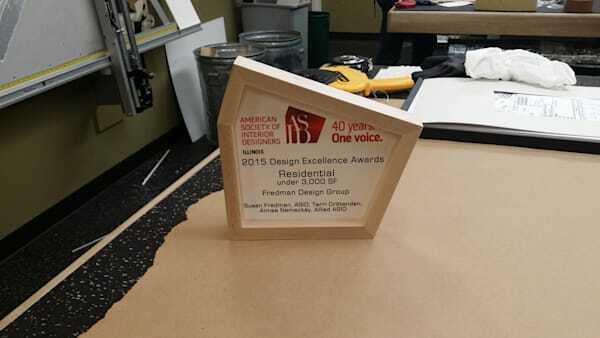 This maple hand made award is cut from replenish-able wood and giclee printing on a linen mat. 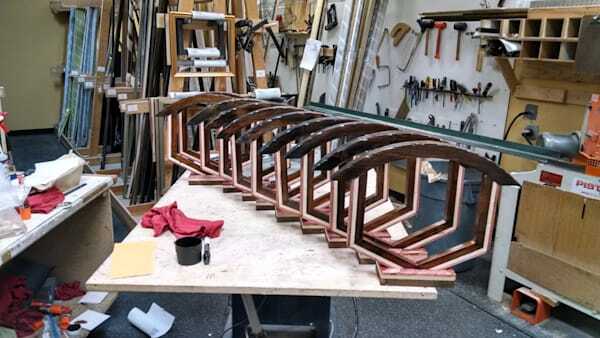 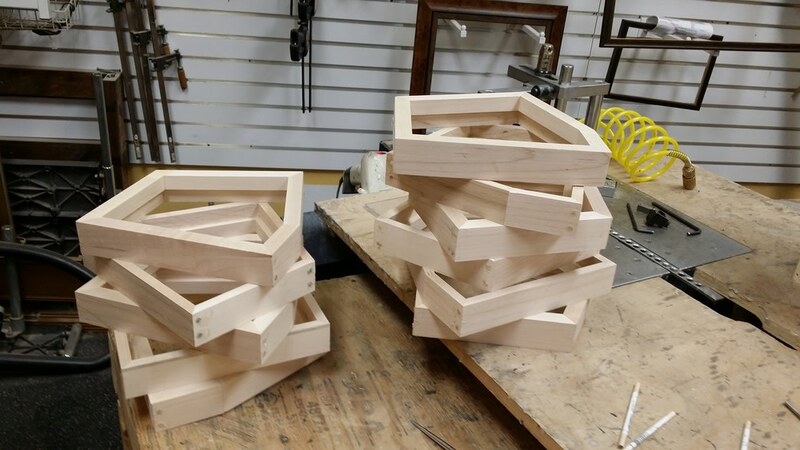 We designed these frames from the logo of ASID and cut them from Maple with wood dowel joined corners. © Copyright 2018, Colbert Custom Framing Inc.